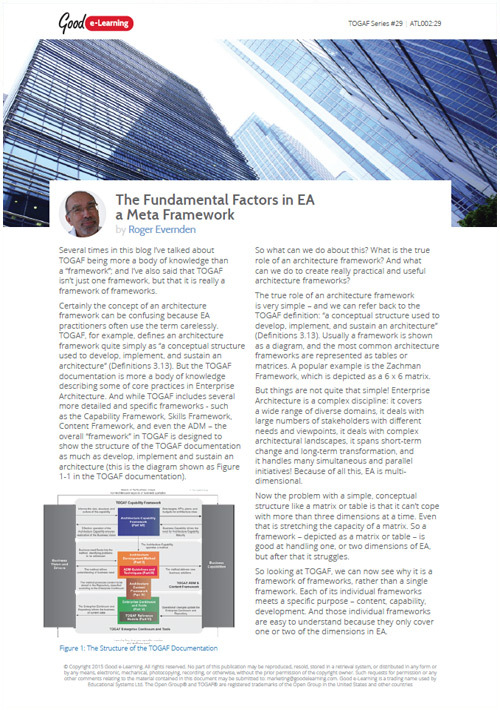 TOGAF is an architecture framework. But what do we really mean by an architecture framework? And how can we create architecture frameworks that are genuinely practical and useful? Our exclusive article explores this topic, and provides some simple answers.